This year has brought a lot of surprises to Apple fans. First came the iPad 4, then the iPhone 5 and lastly they gave us a pleasant surprise in the form of iPad Mini. Even the iPad 4 was a surprise given that iPad 3 was released only seven months before that. 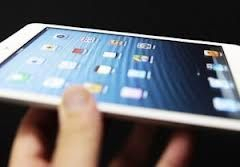 And, given that the iPad Mini was released only sometime back, the big question is about when iPad 5 will be released and what are the new things that we can expect to see. Speculations are that Apple might be looking for an early 2013 release given the scene in the tablet market. Microsoft released Surface and Google came up with the Nexus 10 which infused new competition to iPad market. Therefore, some experts are of the opinion that Apple needs to bring something new and fight the competition off. And it is needless to say that the next iPad needs to score an A+ in all dimensions of looks, design and specifications. Let’s look at some of the features that might make their way into the iPad 5. Display: With respect to the display, iPad 3 and iPad 4 have remained very identical. Although the iPad display is quite state of the art at the moment without requiring massive upgrades, it might be possible that in the next version, that is, the iPad 5 might come with better display capabilities including better readability, brightness and power efficiency. Camera: Both iPAd 4 and iPad Mini brought with them front and rear facing cameras. Including the front facing camera gave a much better Facetime and Skype experience to users. The rear camera however, is the same in both versions. To improve Facetime, iPad 5 might bring a better front facing camera that has a higher resolution. There have been shaking issues due to image stabilization in the iPad 4 as reported by some users. Apple should iron out these issues in the iPad 5. A/V Output: The new iPad 4 brought some better audio and video output capabilities. That said, the iPad still does not have stereo sound like the Macbooks. What would be a great to have in the iPad 5 is stereo speakers for a fabulous A/V experience. In the iOS 5, there was an Airplay feature introduced which made gaming experience a few notches better than the previous versions. But, iOS 6 hasn’t seen great improvements in this feature. This is partly because iOS 6 didn’t have great transceivers to support better Airplay. Networking:iPad 4 has been known to have better WiFi connectivity and the LTE on the device also works in a manner very similar to that of iPhone 5 and this might be very desirable on the IPad 5 to give you better power efficiency while being connected to WiFi or 3G networks through its next generation chipset. These features will still want Apple fans to want more out of the iPad at the same time stunning them with what it can offer.